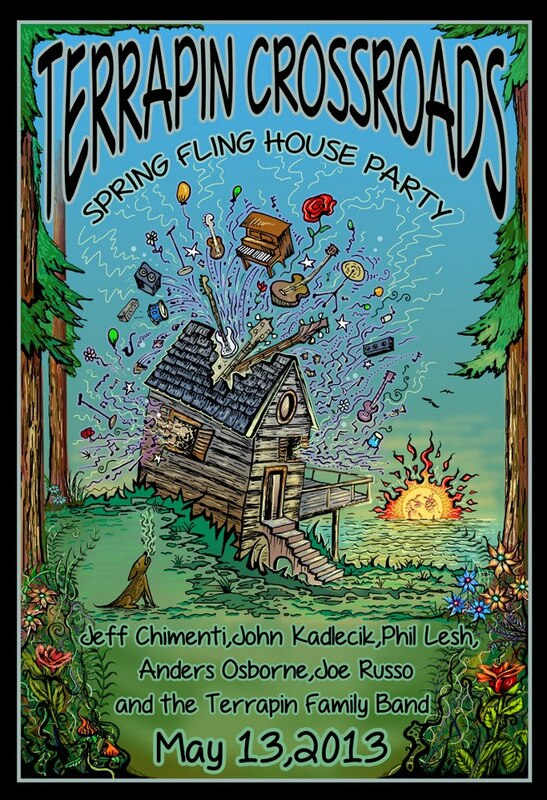 A week from today, Terrapin Crossroads will be hosting the “Spring Fling House Party” featuring the impressive lineup of Phil Lesh, John Kadlecik, Joe Russo, Jeff Chimenti and Anders Osborne along with The Terrapin Family Band. Tickets will be $100 (Buffet dinner included), are available at the Terrapin Crossroads Box Office and online here. Great to see Anders already returning to Terrapin after last month’s much raved-about showing alongside Luther Dickinson. The hopes of seeing Osborne in a future incarnation of the always-evolving Phil Lesh and Friends is starting to feel like more of a possibility. Check out the gig poster below.